BMW of Wilmington is pleased to let you know about the tax benefits available to customers who purchase a BMW X5 or BMW X6. These tax benefits allow you to get a significant deduction to help you secure the new BMW vehicle you need. If you’d like to set up a financial appointment for more information, please call (910) 338-2149. The BMW X5 and X6 lead the segment with a wide array of features and benefits including a significant tax deduction that is available when the vehicle is purchased for business use. As a result of the Act, business owners may now deduct up to 100% of the vehicle purchase price when the vehicle is purchased for business use, as The IRS categorizes SUVs with a gross vehicle weight in excess of 6,000 lbs differently than other luxury automobiles. This presents a substantial tax savings for business owners. To qualify, the X5 or X6 must be purchased (not leased) and must be used for at least 50% for business purposes. This deduction applies to both new and used vehicles acquired by purchase, so long as the acquiring taxpayer had not previously used the acquired vehicle, and did not acquire the vehicle from a related party. Please note that the bonus depreciation percentage phases down by 20% per year after tax year 2022 (i.e., bonus depreciation percentage is lowered to 80% for 2023, 60% for 2024, 40% for 2025, and 20% for 2026). Disclaimer: To qualify, the X5 or X6 must be purchased (not leased) and must be used for at least 50% for business purposes. This deduction applies to both new and used vehicles acquired by purchase, so long as the acquiring taxpayer had not previously used the acquired vehicle, and did not acquire the vehicle from a related party. 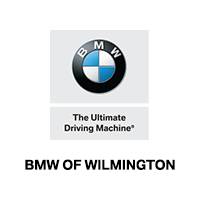 BMW of Wilmington is not an accountant nor provides tax advice. Customers with questions regarding this topic should consult their individual tax adviser to determine their eligibility for this deduction. Offer available on select BMW X5 & X6 SAV Models, see BMW of Wilmington, for complete details.